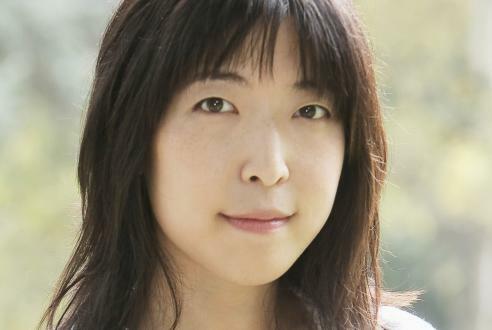 In this 45 minute radio interview, novelist Catherine Chung discusses Forgotten Country, giving up the ghost, grief, Korean American identity, racism, bullying, and the challenges of drawing from personal experience. Catherine Chung appeared on The Bat Segundo Show #442. She is most recently the author of Forgotten Country. Condition of Mr. Segundo: Wondering if he left his car keys in Korea. Subjects Discussed: How Forgotten Country emerged from multiple stories, finding inspiration from disappearance, mysterious ghost monks that couldn’t float their way into the narrative, getting to know a character’s family by telling other stories, bad fictional boyfriends, Korean American identity as seen through reflection, character depth that springs from an aesthetic, how Chung keeps her characters separate from her identity, drawing from emotional experience, the difficulties of finding details in grief, losing your parents, giving additional details to personal experience, loneliness expressed as a dialogue between author and characters, growing up in the Midwest, “Chinaman Costumes,” racist products sold at chain stores, being surprised by people speaking against injustice, first-generation Korean Americans and second-generation Korean Americans, being bullied while growing up, being pushed into a brick wall, how schools used to react to bullying, dwelling on childhood incidents, moving around a lot as a kid, not being accepted, changing perceptions of bullying over the past few decades, grief as a way of understanding cultural identity, “From the Ruins,” whether any city or location can offer true respite, escaping to Leipzig, poorly buried corpses during the Korean War, animal-based mythology, how the subconscious fits personal anecdotes into fiction, unanticipated symbols which emerge in life, paying attention to things that seems like signs, the burdens of an analytical subconscious, finding the mathematical precision within sentences, Chung’s math background, the messier process of half-formed thoughts, the difficulties of not knowing, whether or not block is productive, obsessively circling a problem, Csikszentmihalyi and flow, using the least amount of words possible in a sentence, being concerned with a readership, how style is shaped through unexpected means, abuse and ambiguity, the creative showdown between God Cathy and Janie’s Voice, the troublesome results of divine creative intervention, and control in fiction and in life. Correspondent: I know that Forgotten Country emerged from a number of different stories that you were working on at the same time. You have, of course, this idea of the boy falling out the window, which is at the very beginning. The mysterious hermit girl who crops up later in this book. And then you also have this story that was inspired by your father’s sister, who disappeared when you were a child. It’s really interesting to me that, first of all, these stories fused their way together into a novel and that, secondly, this came before this massive family unity of complicated relationships. So I’m curious, first and foremost, if you could describe how these stories came together in novel form and how you were able to fuse them together, and whether you needed some of these orbiting asteroids to circle around and become the planetary family unit. Chung: Yeah. Well, you make it sounds as if I did it so intentionally. Correspondent: (laughs) No, it never is intentional, of course. But I’m wondering how the connections came about. Chung: Yeah. I think that they came about after a lot of time. There’s one character telling all these separate stories. And that’s what linked them. I didn’t really know what they were doing with each other or how they were related. There are other stories that were also in this book that eventually dropped out. Correspondent: Oh really? Like what? Chung: So there was a flying ghost monk. Chung: Yeah. He was eradicated fairly early on. But he was totally in there and for a long time, he was carrying a great deal of weight in terms of just the number of pages. Correspondent: That’s quite a feat, given that he was a ghost. Correspondent: You can’t very well have him being narrated by Janie. Chung: Yeah. And in my mind, he was related. But in terms of the book, he didn’t fit. Correspondent: So how then did the family come about if Janie was the narrator for these three stories? Chung: Ah! Because she’s totally preoccupied by her family. Correspondent: Oh, I see. In the act of telling these other stories, you got to know her family. Chung: Yeah! That’s exactly right. These are the stories that I was really interested in. But the other stories that she was also interested in, I had to create a character who could tell these stories. But I think that she was interested in these stories because of the light they shed on her own experience. And as she told these stories, she’s sort of a secretive, hard-to-get-to-know person. So these were the stories that she wanted to tell. But then there were these underlying stories of her own life that came to play as she was telling them. Correspondent: And allowed you to work out the connections with the sister, with the aunt, and so forth. Well, this leads me to wonder, did you have the competitive relationship between the sisters in place before the father-daughter relationship? Which of those came first? Chung: Which of those came first? I think that the father-daughter relationship came first. Hannah’s disappearance came first. Chung: It was the absolute first thing to happen. But their competitive nature came as I was discovering why Hannah would leave and why it would be difficult to find her. I discovered what their issues were. Chung: Yeah! And I think that the competitiveness also arose not early on in the novel — but I think Janie gets jealous with all the attention that’s focused on Hannah while she’s missing. Correspondent: You were mentioning ghosts earlier. We’re talking about disappearance. Correspondent: I’m wondering if subtraction might in fact be the way for you to pinpoint what a story or what, in this case a novel is all about. Chung: That’s a really interesting point. I think that a lot of what I’m interested in and a lot of what I focus on is what’s missing or what’s longed for. Or what’s gone. Chung: Like a flying ghost monk. Correspondent: Like a flying ghost. Or a character perhaps. Or some angle that just didn’t allow you to get that emotional precision that I think is there throughout the book. Chung: Yeah. I was thinking the other day just about how many pages I removed. And I would say the book is about 300 pages, but I think I must have deleted at least six or seven hundred. Probably more like a thousand as I was going through the drafts. So entire storylines fell out. Like the flying ghost monk. There was a character. Janie’s love interest also ended up getting cut out. Correspondent: Is this the guy in college? Or just another love interest? Chung: No, it was another love interest. Correspondent: Oh! Another love interest! Correspondent: What was he like? Chung: What was he like? Well, you know, I think he wasn’t all that interesting. Which is why I took him out. He wasn’t really holding his weight. I realized it wasn’t about him. Correspondent: Well, I also wanted to ask about Hannah. The thing that’s fascinating to me about her is that she almost seems like a reflection of Janie. I mean, I think specifically about the scene in the hotel elevator, where Hannah follows her in and is essentially tailing her and mimicking her. And then you also have Hannah, which is a palindrome. Correspondent: But also you observe of her at another point in the book, “how strangers, even adult men, would pause in the street to look at her, and how easily she held their attention.” So she’s also, on the other hand, resistant to Korean food. Which leads me to also wonder if her reflective nature came to mimic the idea of America or an American identity mimicking the original Korean identity that Janie has. And I’m wondering if you could talk about if Hannah came from almost a reflective pool from dwelling on Janie like this. Chung: That’s such an interesting question, and one I haven’t heard yet. But I think that’s exactly it. Or at least that’s the source or the core of Janie’s resentment to Hannah. I think that because Hannah not only reflects Janie, but also gets to do some of the things that Janie doesn’t get to, but would like to, Janie feels that that’s been taken from her. That she only gets to be a certain kind of person because Hannah has already taken this other part of her. This reflection, exactly as you’re saying, is reflecting some part of her that is also slightly different. And so Janie is very competitive and jealous about that. But I also think that that link that you made to how her Americanness is a reflection of how her Koreanness could be a reflection is also very interesting. Because of the ways in which people change or mimic each other or come to copy an idea of what they should be. So, yeah, those were things that were with me the whole time that I was writing this book. And I just think that it’s really cool that you picked up on that. Correspondent: But when you considered Hannah, did she first come to you as this aesthetic person? And did you need to flesh her out by this reflective thing we’re talking about? By imbuing in her some sense of her being looked at by other people? By people who were not, in fact, Janie? Chung: Maybe. And I think that the thing that I kept getting caught on with this question is that I have often thought of both Janie and Hannah as reflections of parts of myself as well. Chung: Yeah! Who live inside my head. But I was interested in Hannah as the object of attention, right? As a kind of reflection. And I think part of Hannah’s problem is that it’s hard for her to — and Janie’s problem as well — it’s for them to think of themselves, or they get tripped up on the way that they’re being looked at by other people. And it’s hard when you see yourself as a reflection. Because then what are you?